As I get older I always say to family & friends “let’s not do gifts this year lets just get together and enjoy a meal and a few drinks”. I especially love Christmas for giving us so many excuses to spend time together and it makes me so grateful for all the amazing people I have in my life. That being said it is nice to have something under the tree to open on Christmas morning even if it just one lovely gift, and my husband always gets the most thoughtful presents for me. I like to ask for something special, something I don’t often buy myself and for me that is perfume. A fragrance for me is such a treat and that’s what makes it the perfect gift to both give and receive. There are so many incredible scents and this year I wanted to add back to my collection a scent that I used to wear a lot a few years ago. 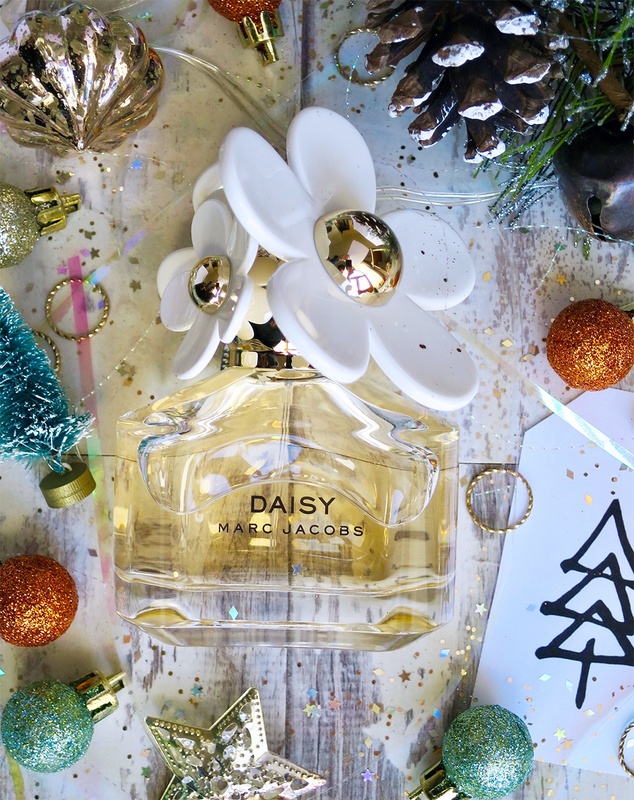 We all have that one perfume which never gets old and that for me is Marc Jacobs Daisy. It is such an iconic scent and the bottle is instantly recognisable with the cap adorned with pretty daisies, I haven’t owned it for so long but I’m thrilled to have it for 2018. It is beautiful, timeless fragrance and one that can be worn by all ages. It is such a mix of fruity, floral and fresh notes that it never smells overpowering of too intense. It reminds me of so many happy moments, birthdays, holidays and getting my job at RBS. It has been a favourite of mine for so long and it was my Mum that first introduced me to it and she still wears it too, so we have the same great taste in perfume. What perfume would you love to receive this Christmas? do you have your heart set on a new release or a classic, iconic scent? Marc Jacob Daisy is available from Fragrance Direct. You can get it as part of a gift set, in limited edition packaging or you can opt for the classic fragrance.